Sometimes the light and mood are just right for a happy accident photo. 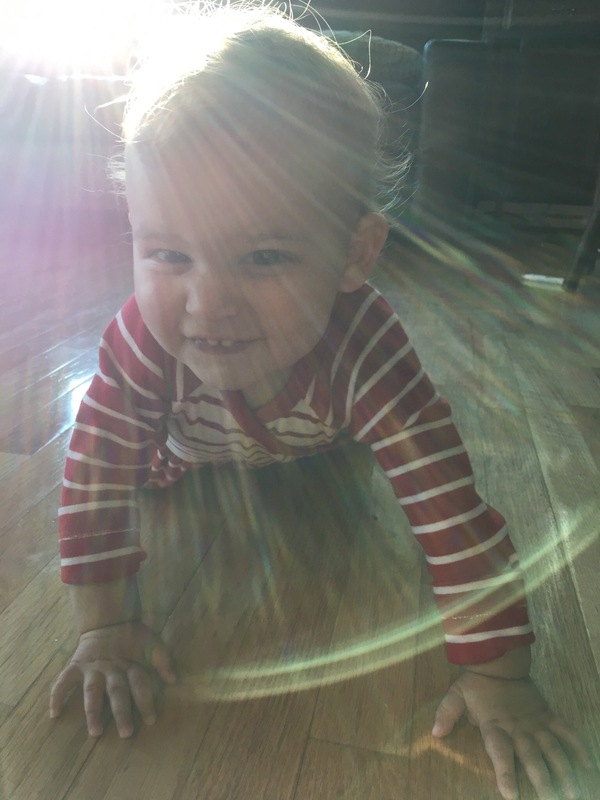 My 18-month old was excited after face timing with grandparents and I didn’t see the light effect until after taking the picture. It was a nice surprise after a lovely morning. When the weekly photo challenge word was announced as Shine the same day I knew just the one to post. This photo is a good representation of her age as well. She’s on the go more than ever and wants to explore every crumb, kitchen utensil and random object she’s guided to the floor or finds on furniture within reach. It’s a delight to watch her and go on adventures together each day.